Making History With A Photograph. The documentary is about Pete Souza, the official White House Photographer for President Barack Obama and the Director of the White House Photography Office. Throughout the hour long documentary you see inside the life of this remarkable photographer, who is daily tasked with capturing and documenting history in the making. Over the course of 16 months he took over 1 million pictures of President Obama, his family, and the daily workings of the presidential office. 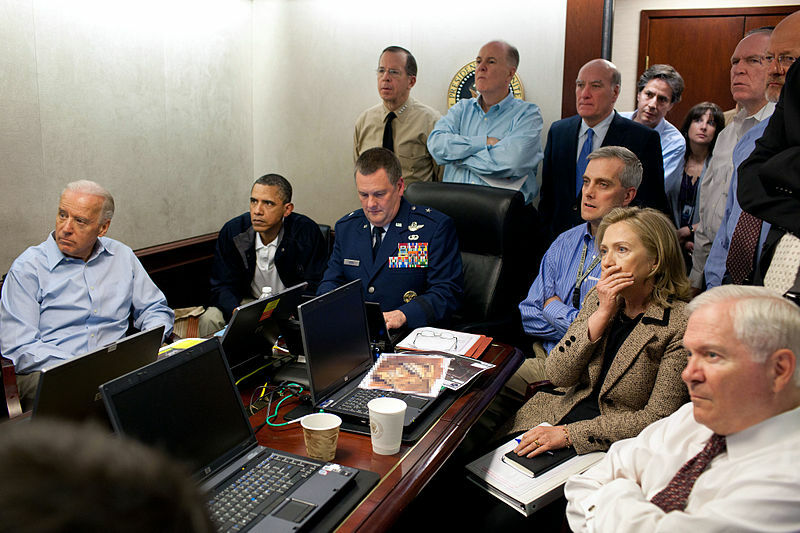 Obama’s Inauguration. Photo by Pete Souza. 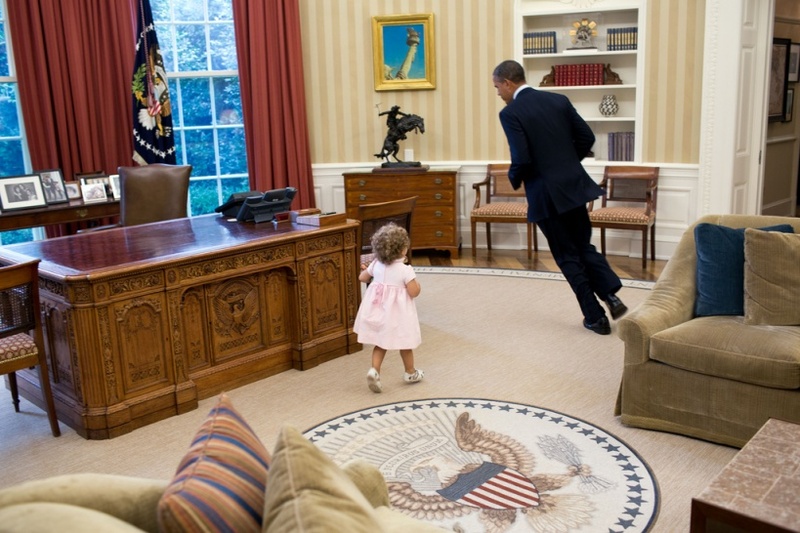 Play time in the Oval Office. Photo by Pete Souza. As I was watching this documentary I was left feeling impressed by this man and inspired by the opportunity I have as a photographer to capture History. I had questions, I still do, about my role and my ability to capture a photograph that one day may be looked at as meaningful and historic. For a long time now, I have struggled with my position on the photographic food chain. Where am I at? Is this what I want to be doing? Where am I heading as a photographer? Is there any reason and meaning to the photos I am taking? Now I hope I’m not misunderstood in this, I love being a photographer, and I would happily spend my life taking photos of brick walls rather than have any other job. I get up in the morning and honestly look forward to my day at work, knowing that it will be interesting, fun, and something that I love. But with that comes the knowledge that none of the photos in my portfolio are ones to make people stand up and take notice. There is nothing there that is anything other than a nice photo. I want more then pretty photos of sunsets and flowers, cute kids playing with fun toys and pretty brides tearing up on their special day. The beautiful rack of lamb and roast vegetables is lovely to look at, and the ice cold beer does tend to make me feel a little dry in the throat, but which of these is going to be remembered as a landmark in human history? I see the coming year as a breakout year for me photographically. I have the opportunity to travel to the Democratic Republic of Congo in June to work especially with women and children who have been so severely effected by the 15 year conflict that it has made the Congo the most dangerous place on earth to be a woman or a child. Being able to document their stories, and hopefully in some way bring an awareness of the pain and suffering of the Congolese people, using my photographs in a way that gives the rest of the world an opportunity to be a part of ending the injustice that is still taking place in the Eastern regions of the Congo. I am no Pete Souza, and I don’t have the opportunity to follow President Obama with my lens, but I do have a God given talent and the ability to use that talent in a way that somewhere, sometime, someone may just look at one of my photos, and understand a little more about the world we live in today. If you have an hour free, I do recommend the documentary which you can watch online for free here. Next Post Ancient Monasteries of Armenia – A Black & White Collection. Photojournalism is where it’s at.